Leading Manufacturer of alpha shear blade, bimetal bandsaw blades, saw blades, scrap shear blade, slitting cutter spacer and bar shearing blade from Nagpur. Being a client focused organization, we are engaged in offering an extensive array of Alpha Shear Blade in different sizes, shapes and designs. 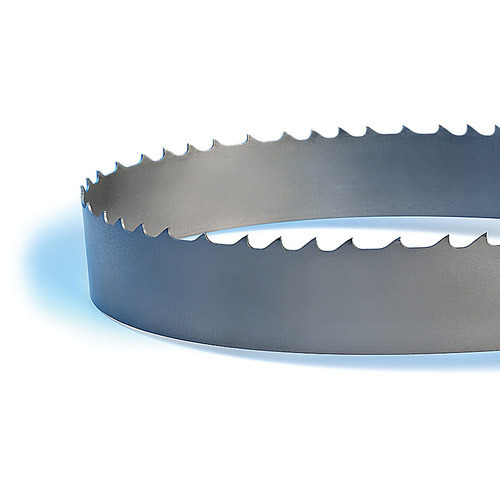 Offered shear blades have accurate designs and longer service life. 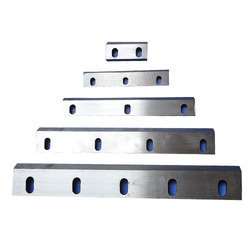 The offered alpha shear blades are able to stand tall on the expectations of patrons as these are made using high-chrome steel, procured from reliable vendors of the industry. Further, these blades are given heat treatment and accurate grinding to ensure their reliable performance. 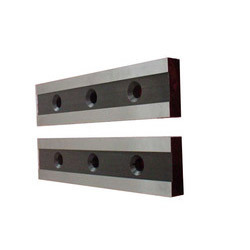 In addition to this, post-production these shear blades are tested on industry set parameters to check their tune with the requirements of patrons. With an aim to stand tall on the expectations of our prestigious patrons, we are engaged in manufacturing, supplying and exporting a comprehensive array of Bimetal Bandsaw Blades. 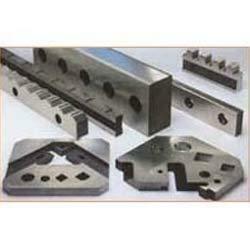 We provide these shear blades to patrons as per their asked details. Further, in the manufacturing process we make use of premium quality raw material, sourced from honorable vendors of the industry to ensure that offered shear blades serve our patrons for long. For the designing process of offered shear blades, we take help of modern machinery to ensure these are designed as per the requirements of patrons. Being a quality focused array, we are engaged in offering an impeccable array of Scrap Shear Blade, which is made using high grade raw material, sourced from vendors of high prestige. While manufacturing the offered array of blades, we keep in mind the industry set parameters. Further, prior to dispatch, the offered array of shear blades is checked to ensure its compliance with the specifications detailed by patrons and flawlessness. Close tolerances and lapped finish. We are providing our customer a wide range of wire rod & Bar Shearing Blade, which are manufactured from high grade quality raw materials. these wire rod & bar shearing blade are widely known for its durability and quality. 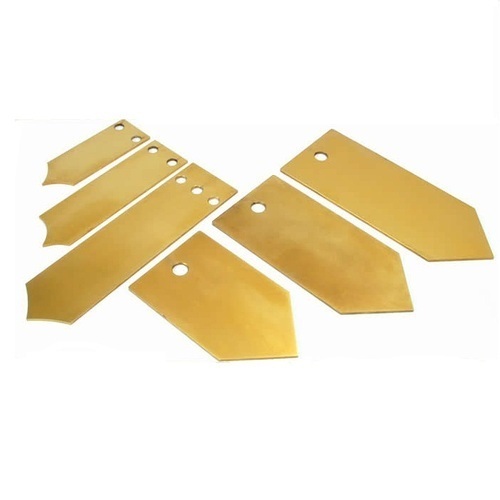 these wire rod & bar shearing blade are available at industrial leading price. Apex Knives produces Shear blades for different metal cutting applications such as Plates, Billets, Angles, Channels, Round Bars, Steel Strips etc. These knives are produced with the finest quality steel sourced from Global suppliers including India. Apex Knives have a very wide product range from size ranging of 50mm to 5000mm length and upto 900mm in diameter. Our knives and blades are produced from different steels like AISI O1, D3, D3, S1, H11, H13, and other materials like 2% and 4% Ni based steels. 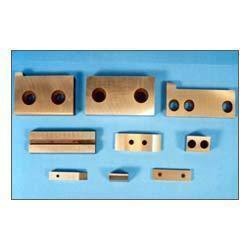 We also work with special super alloys, Tungsten Carbide and Carbide tipped blades. 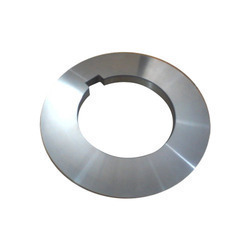 We are a noted organization engaged in manufacturing, supplying and a premium quality array of Guillotine Shear Blade, which is made in-sync with globally laid quality standards. 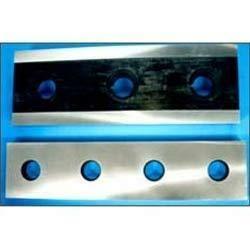 With an aim to attain highest level of patron satisfaction, we provide these blades in various thickness and sizes. We make use of best grade raw material, sourced from the most trustworthy vendors of the industry in the manufacturing process while keeping the requirements of requisite industry. Owing to the support of our state-of-the-art-infrastructure, we are able to put forth a precision-engineered assembly of Hot Crop Shear Blade. We design these blades utilizing fine quality raw material with the aid of ultra modern machinery and latest technology. Post production, we make these shear blades go through a stringent quality test process at our modern testing unit under the watch of quality controllers so as to ensure their ability to stand tall on the expectations of patrons. Looking for “Metal working Knives and blades”?